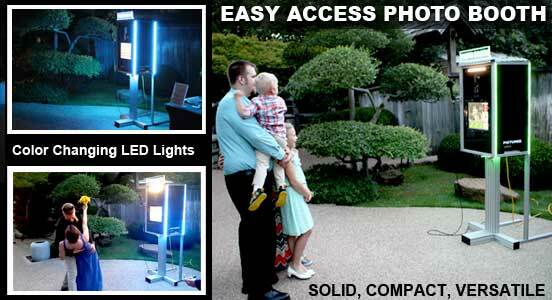 Thank you for your interest in PTBooth A1 PLUS and/or PTBooth A1 PRO Custom Photo Booth Software! To avoid any potential mistakes, complications, misrepresentations, misunderstandings, or any disputes, we have implemented the following rules that apply to all transactions for the PTBooth A1 PLUS and/or PTBooth A1 PRO Software. - Using the DEMO version you will be able to TEST AND EVALUATE THE 2017 PTBOOTH A1 PLUS and/or PTBooth A1 PRO SOFTWARE FEATURES, PERFORMANCE, AND YOUR DEVICE’S COMPATIBILITY. 2. ALL PURCHASE REQUESTS REQUIRE COMMUNICATION WITH THE CUSTOMERS IN THE FORM OF QUESTIONS/ANSWERS. Your answers will help us to improve PTBooth software and will serve as the official statements in communication between the involved parties. 3. Your NAME AND EMAIL that you used to request the FREE 2017 PTBooth A1 PLUS DEMO and/or PTBooth A1 PRO DEMO must be the same NAME AND EMAIL used to make your payment for the Full version of 2017 PTBooth A1 PLUS and/or PTBooth A1 PRO. This is necessary to assure that the person who tested the FREE 2017 PTBooth A1 PLUS DEMO and/or PTBooth A1 PRO DEMO is the same customer who made the purchase decision of the Full version of 2017 PTBooth A1 PLUS and/or PTBooth A1 PRO based on a successful experience with the Demo version. WE RESERVE THE RIGHT TO DECLINE ANY REQUESTS FROM CUSTOMERS THAT FAILED TO FOLLOW THE RULES AND DO NOT AGREE WITH OUR TERMS AND CONDITIONS. * What is your primary reason for purchasing the 2017 PTBooth A1 PLUS and/or PTBooth A1 PRO Photo Booth Software (for Personal/Business use etc.)? * Did you test the 2017 PTBooth A1 PLUS DEMO or PTBooth A1 PRO? * Are all your devices (Printer, Camera, Web Camera, etc.) working properly with the 2017 PTBooth A1 PLUS DEMO or PTBooth A1 PRO DEMO? * Did you have any issues with the 2017 PTBooth A1 PLUS DEMO or and/or PTBooth A1 PRO DEMO, and if so, please describe? * Did you read/use the "How To" articles/tutorials? * Were the "How To" articles/tutorials helpful? * What if any, are your suggestions for improving our tutorials? * Will you require any assistance with the Full version installation? * Will you need support due to an issue not addressed in our tutorials or articles? * Did you read the 2017 PTBooth A1 PLUS and/or PTBooth A1 PRO Software Terms and Conditions? * Do you agree with the PTBooth Software Terms and Conditions? * Are you completely satisfied with the PTBooth Software performance? * Would you like to purchase 2017 PTBooth A1 PLUS and/or PTBooth A1 PRO or Upgrade From previous PTBooth version (please specify the previous version)? PLEASE NOTE: Your NAME AND EMAIL that you used to request the PTBooth DEMO must be the same NAME AND EMAIL used to make your payment. We will verify this upon your request for purchase. Thank you for your time in answering the questions. Your responses are greatly appreciated and will help us to improve the PTBooth! Once we receive your email with your answers to the questions above along with your purchase request, we will email you the purchase link.